UPDATE: A special thanks to everyone who tweeted, shared and encouraged others to tweet today. Moms Fight Hunger. We estimate that at least 131 tweets with #loseforgood were tweeted by the group, which means $131 today alone (translating to more than 1,300 meals). Plus, we also engaged people to do FB shares, likes and repins, as well as new followers for No Kid Hungry. We estimate $150 more dollars from that. The tweet campaign that initiated this original post this morning may be done, but tweeting can still help spread awareness, so keep tweeting, and thanks for being involved. 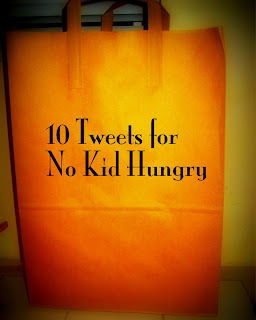 Original Post: Today one of the easiest things you can do to support No Kid Hungry and help feed children and families in need is tweet! Really, it is that simple. For every tweet using the hashtag #loseforgood and #nokidhungry, Weight Watchers will donate $1 up to $50,000. Please, get your twitter on today!! 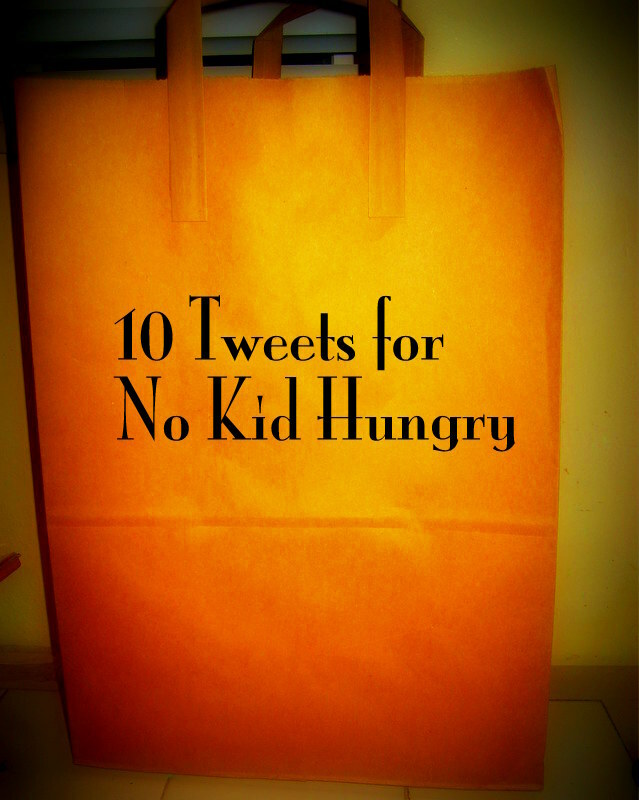 Also check out our No Kid Hungry Blog Hop for more ideas for getting involved! I love your bucket list. What wonderful ways to give to others.